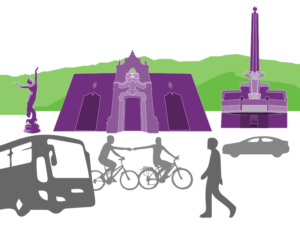 Find your RideMatch among the thousands of ridesharers within Los Angeles County, Orange County, or Ventura County. Your information is confidential and your home address, if provided, will never be disclosed. Go Glendale’s Downtown Neighbors Club offers customized commuting experience to the residents of the Harrison. Click here to sign up today and here for more information! 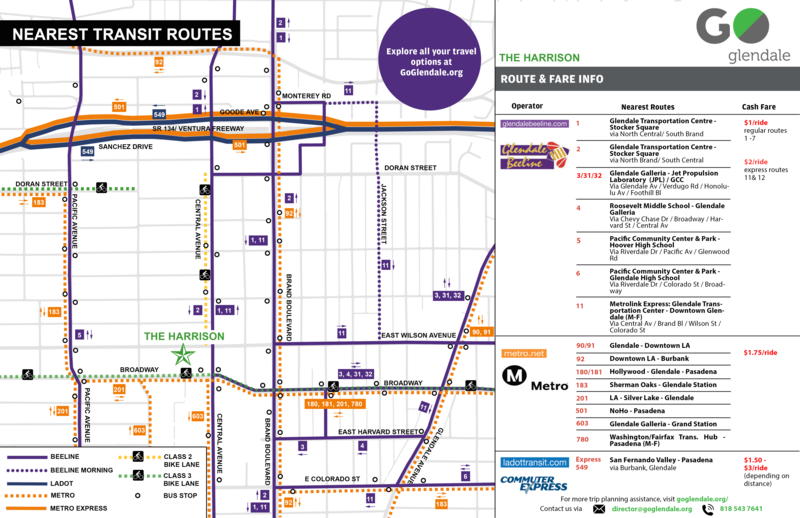 Go Glendale offers personalized transit route maps for the residents of the Harrison. Click the link below to access your residential property’s personalized transit map. If an emergency arises on a day when used an alternative mode of transportation to commute to work, you are eligible to be fully reimbursed the cost of your emergency ride home with a taxi or other approved method. Participants may claim up to two emergency rides per 12 month period.